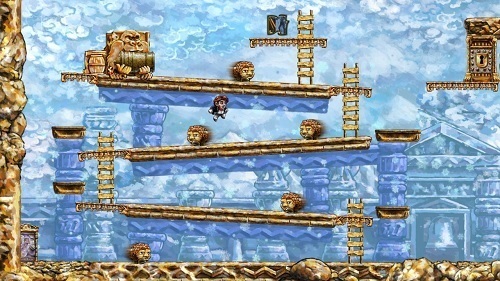 Braid mixes the puzzle and platform genre to create a unique experience that has been highly praised by critics since release. The game originally launched on the Xbox 360 platform and eventually made its way to Windows, Mac and PlayStation. In Braid players take control of Tim as he attempts to rescue the princess from a dark magical monster. The relationship between you and the princess is vague but players soon become aware that Tim has recently made some sort of error that he wishes he could erase entirely. As you advance through the game you slowly uncover the truth behind Tim, the princess and the game world which creates a great discovery based adventure. Braid plays out like your standard platform adventure but slowly Tim takes control of the power of time. These powers give Tim several abilities which are incredibly fun to use and extremely unique. By using these powers players go about solving a number of puzzles while defeating enemies and collecting the necessary keys to move ahead. Gameplay is split among six different game worlds which are accessed through rooms in Tim’s house. Each of these worlds incorporates a new game mechanic based on time for players to use. Across these stages players must collect puzzle pieces and can optionally collect eight hidden stars to build the constellation outside Tim’s house. These mechanics include the ability to rewind time within the game, make objects immune to time, accelerate or deceleration time, parallel universes and the ability to slow time only around Tim. By mastering all these varied time based elements players can move through the game puzzles which will have you thinking in a way you never thought possible. Braid is an all around impressive game and stands out in the growing popularity of unique indie puzzle games. The gameplay is unique, the art impressive and the puzzles offer great diversity. 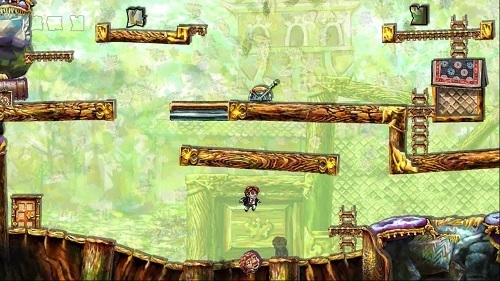 Mixture of puzzle and platforming elements. Available across a variety of platforms. Unique and interesting game mechanics.